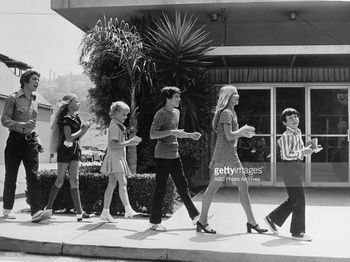 The Brady Bunch Visits ABC is a Brady Bunch TV special released on September 1971 in which the kids from the show visit ABC-TV studios and preview the then-new Saturday morning cartoons on ABC the night before their premiere the next morning. This was a common practice for the big television networks until the mid 1990s, when most of them stopped airing Saturday morning cartoons. 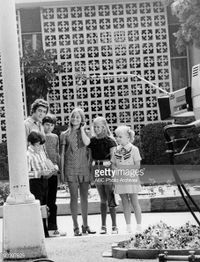 In the special, the six Brady kids (in-character) are dropped off by Mike and Carol Brady and begin their tour while hearing about the new crop of cartoons. 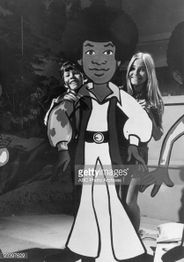 In their travels, they meet the creatures from the worlds of Sid & Marty Krofft, and even The Jackson 5, promoting their new cartoon adventures. It then ends with the infamous "it was all a dream...or was it" trope. The special was broadcast well before the common availability of home video recording. Due to the nature of the special, it was not aired again. Even without that in mind, there would likely be many legal problems with ABC airing it again. It's unknown if anyone involved with the special owns a copy of it in some form. As of now, however, only a promo and several images of the special are available. 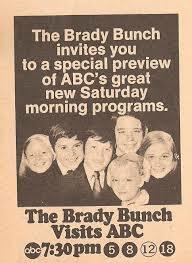 A still showing the Brady kids. 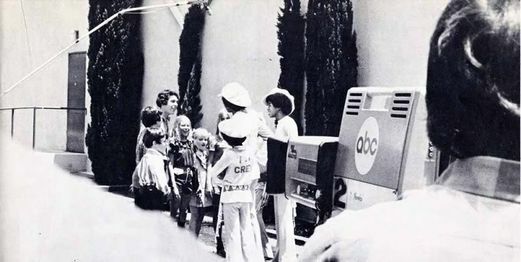 A still of the Brady kids meeting The Jackson 5 during the special. 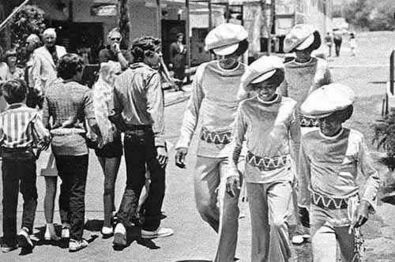 Another still of the Brady kids meeting The Jackson 5. 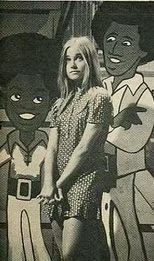 A still showing Bobby Brady, Marcia Brady and a member of the Jackson 5. 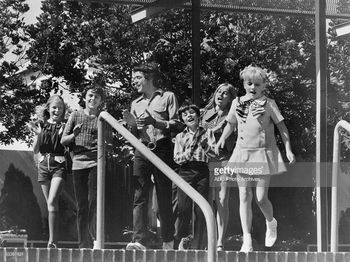 A still showing the Brady kids singing. Another still showing the Brady kids singing. 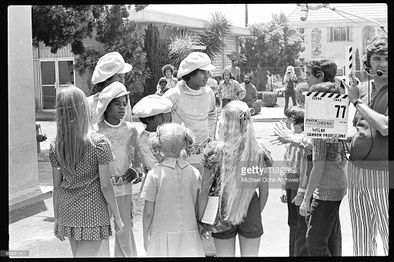 A still showing Marcia Brady and the members of the Jackson 5. 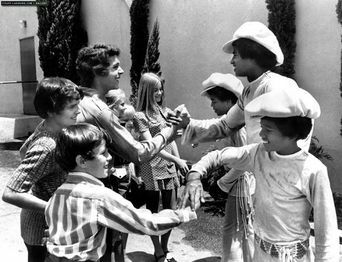 A still showing the Brady kids handshaking The Jackson 5. 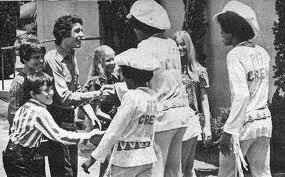 Another still of the Brady kids meeting The Jackson 5 and the filmmakers. A still showing the filmmakers shooting the special.